OK 11 Hominy Creek, Tulsa Co. 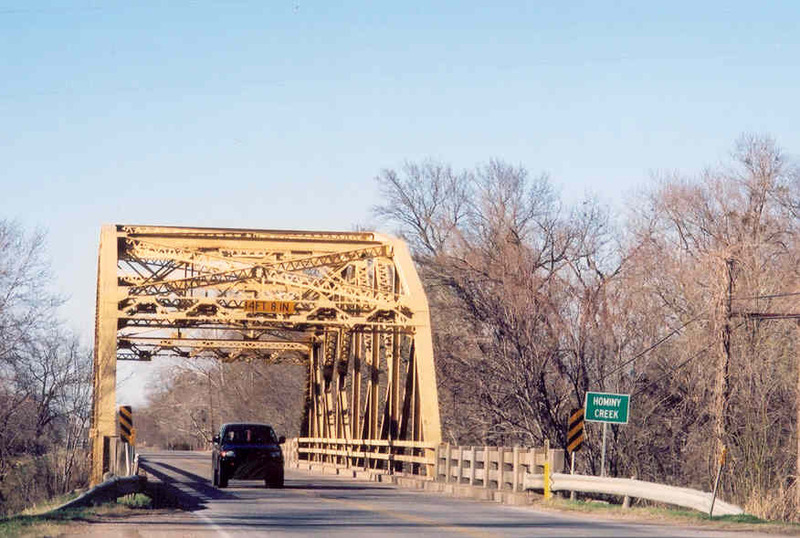 Built in 1940 by the Standard Paving Co., this bridge stands unaltered and in very good condition. The bridge consists of a 160-foot long K-truss main span and steel stringer approaches with the classic concrete "fence" guards. The north approach is much longer, being three spans, while the south is only one. The above photo looks thru the bridge from the south to the north. 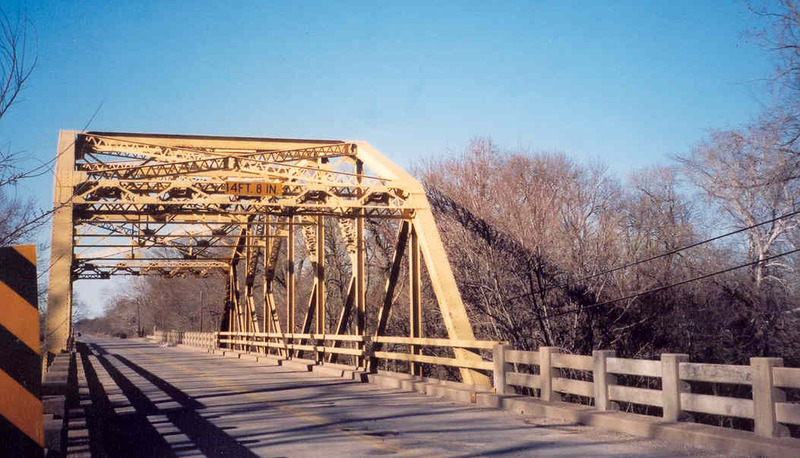 Below, a side view of this classic Oklahoma K-truss. Below, a close-up view of the portal and guards. The low portal clearance would explain some of the battle scares it has. Apart from that, the bridge is in excellent condition and the paint looks very good.